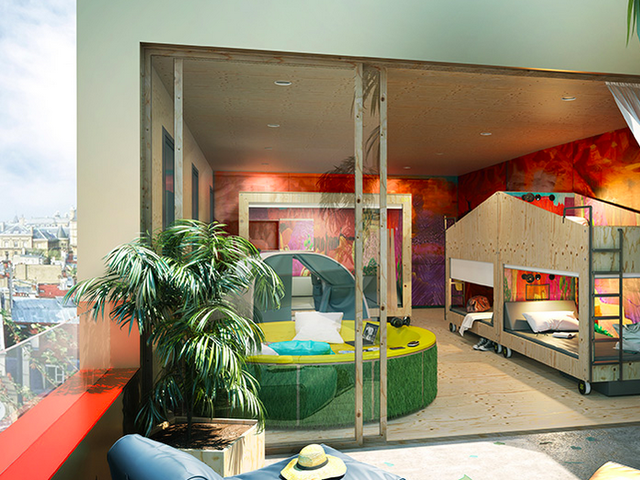 French company Accorhotels is launching JO&JOE, a new hotel concept it says is 'disrupting' traditional hotel codes and 'reinventing' the hotel experience in design, food&beverage, service and lifestyle, blending 'the best of private-rental, hostel, and hotel formats for solo, groups, pairs or family 'tripsters'. A lot of jargon, but what does it mean for travelers? JO&JOE hotels are an economy option that will be located in on-trend European and global city-center locations close to public transportation and a city's major points of interest. The design and experience focuses on the hotel as a 'vibrant living space' for 'Millennial-minded trend-setters' who value sharing, spontaneity and experience. So you don't have to be actually under 30 to appreciate the JO&JOE approach, just in tune with millennial trends: mingling of locals and travelers in an 'open house' environment, offbeat design, digital ecosystems and a next-generation approach to food and beverage. Is this really new? Would we want to stay? Would you? JO&JOE is possibly more about its 'open house' lifestyle than a place to lay your head. 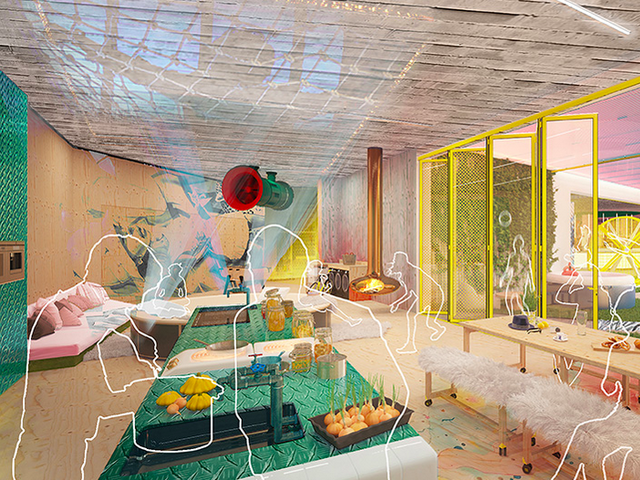 Designers envision welcoming both 'Townsters' (people living nearby) and 'Tripsters' (people in town to explore) who treat the hotels as an annex of their own living rooms at home. Common areas and interaction foster community living and a full calendar of programs, from concerts, yoga classes or DIY workshops. JO&JOE local teams and the Townsters and Tripsters themselves help keep hotels active and buzzing, using the brand's geosocial app as a social accelerator which helps bring people together, enabling Townsters and Tripsters to connect, meet, initiate events, share tips, or arrange to get together for a meal or a walk. We see this as a great step towards two things increasing numbers of people – not just Millennials – are saying they want more of when they travel: 'authentic' local experiences and meeting local people. Stays at JO&JOE are incredibly affordable, with target price points starting at only €25. Think about it: less than 10% of what a city center hotel in a major travel destination like Paris would cost. 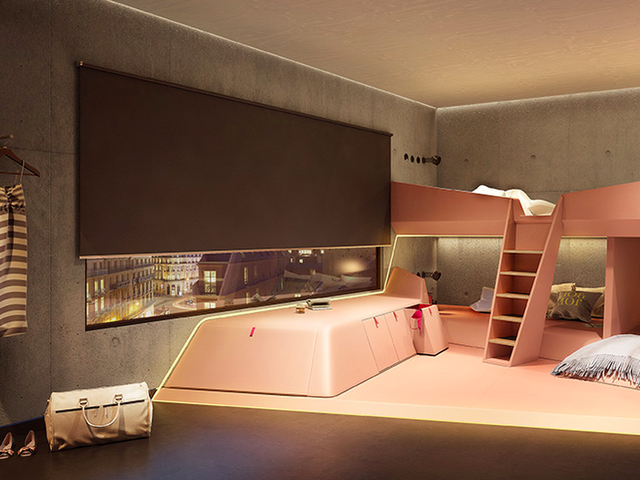 'Together': an ingenious modular sleeping area that guests share without sacrificing privacy, with spacious beds, private lockers, reading lights and USB ports, shared recreation areas and bathrooms. 'Yours': rooms and apartments for two to five people with a private bathroom and, sometimes a kitchen area. Ideal for small groups and families, the space offers a completely different look from a conventional hotel room thanks to originally shaped and extremely comfortable beds. 'OOO!' (Out Of the Ordinary): unexpected and unforgettable accommodation, different at each JO&JOE, including yurts, hammock and caravans. A central bar with unique design and high street visibility to encourage local residents to join guests enjoying a wide range of drinks, with a selection promoting flagship local and craft products. Local, affordable craft cuisine serving quality food without the frills through simple, authentic, and warm restaurant concepts: grills, open flame barbecues, woks or wood fired pizzas. 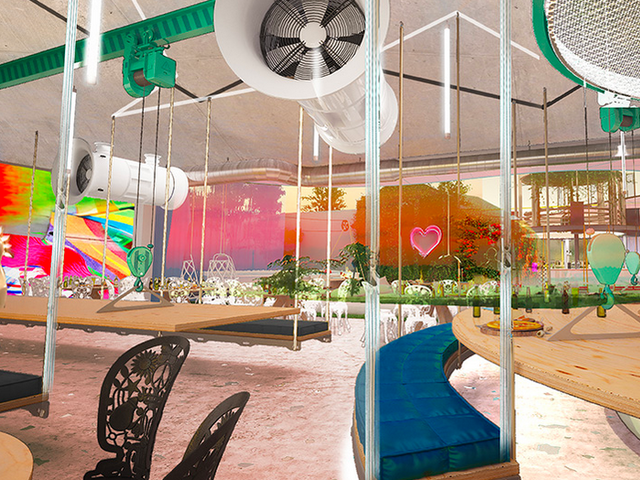 Collaborative kitchens offers guests a showcase for their culinary talents and a stage for sharing their best recipes. Guests can stay on budget by using the space to cook meals, just for themselves or for a whole tribe. If this means the demise of the sad, $30 Club Sandwich, we're on board. We're also excited to have a place to create a meal after a visit to a local market, BUT where you can also order a terrific local wine and enjoy a cozy, healthy meal if you don't feel like cooking or trekking back out to find a restaurant after a long day exploring. Our conclusion? It might not be a revolution, but this new hotel brand is delivering in style the innovations and lifestyle more and more travelers - not just Millennial 'tripsters' are looking for when they visit a new destination. We can easily see JO&JOE's new concept hotels being a terrific part of many holidays: families with young adult children, teens, and even small kids, fun, on-trend couples and solo travelers who want to connect with locals and local trends, on its own or integrated into a larger trip like a pre- or post-cruise, group/escorted tour, or balancing a more traditionally-structured trip. So stay tuned! In the coming year, Accorhotel's first JO&JOE's will roll out in Paris and Bordeaux, France, as well as Warsaw, Poland, Budapest, Hungary, and outside Europe in Rio and Sao Paulo, Brazil. It has plans to expand rapidly around the world, launching 50 hotels in 'destinations popular with Millennials' by 2020 to catch the wave of the future of travel.